15184 EP LEBANON (1925) Various buildings in Lebanon. 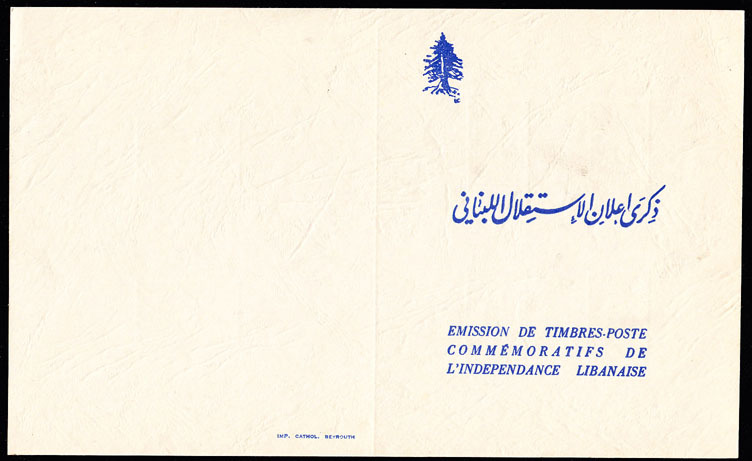 Imperforate gummed proof of first non-overprinted series of Lebanese stamps! 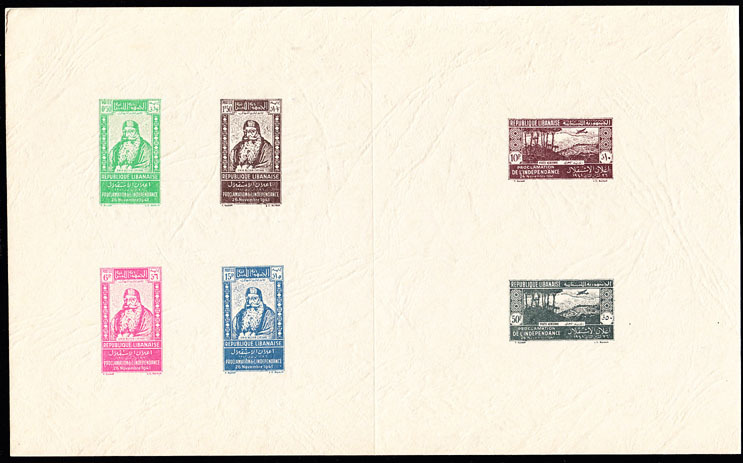 Scott Nos 50-62, Yvert Nos 50-62. 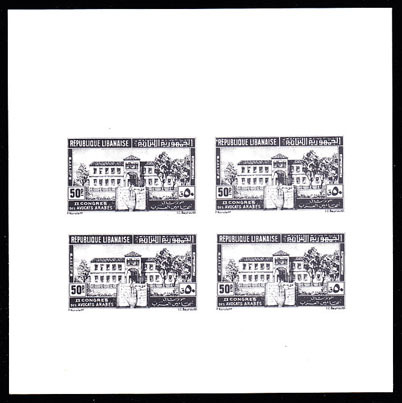 Corner crease and a few minor edge faults do not affect design. 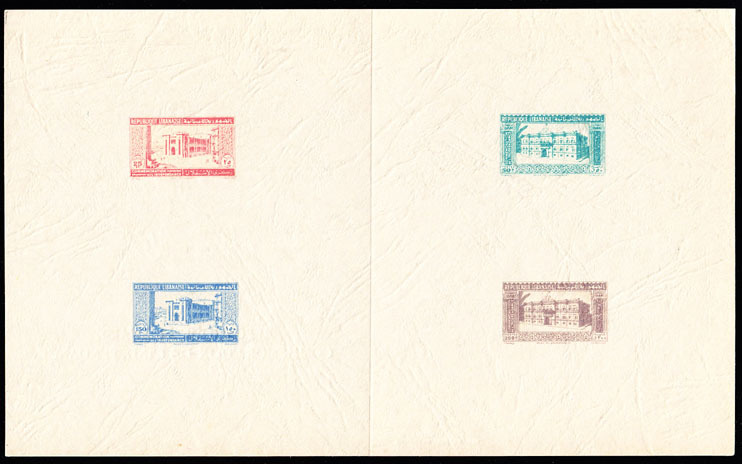 16561 EP LEBANON (1943) Quarantine station. Bhannes sanitorium. 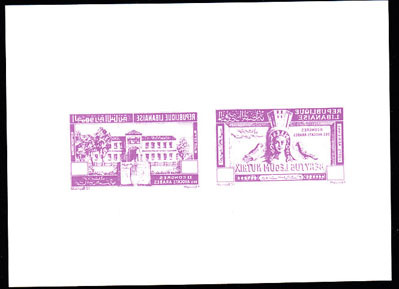 Proof sheet with 3 imprints each of Arab Medical Conference issue. Scott types A30,AP23. Small edge creases not affecting design. 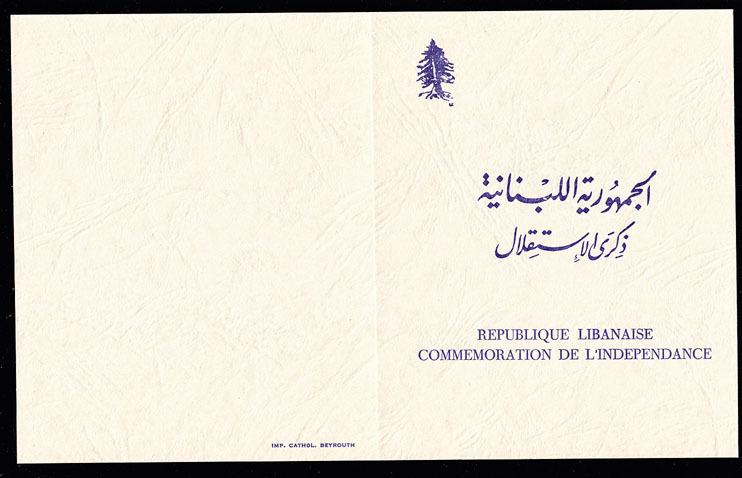 16465 EP LEBANON (1948) Hand on book of law. Justice building? 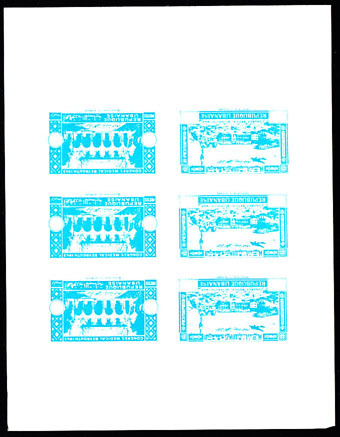 Proof sheet with 4 imprints of unissued stamp for 2nd Arab Lawyers Conference. 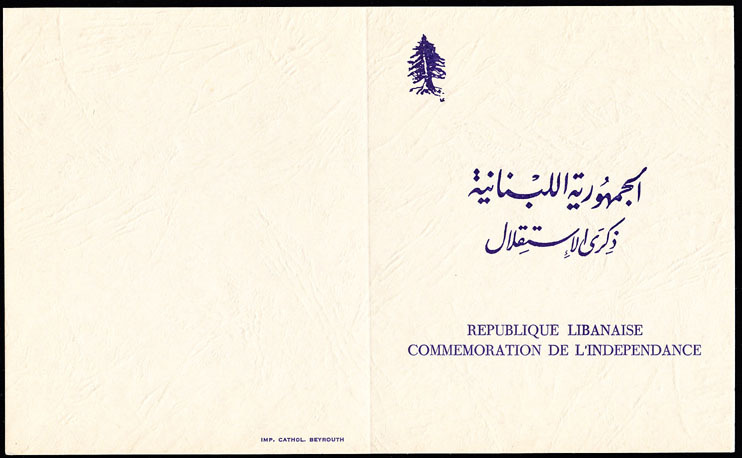 16466 EP LEBANON (1948) Minerva. Hand on book of law. Justice building? 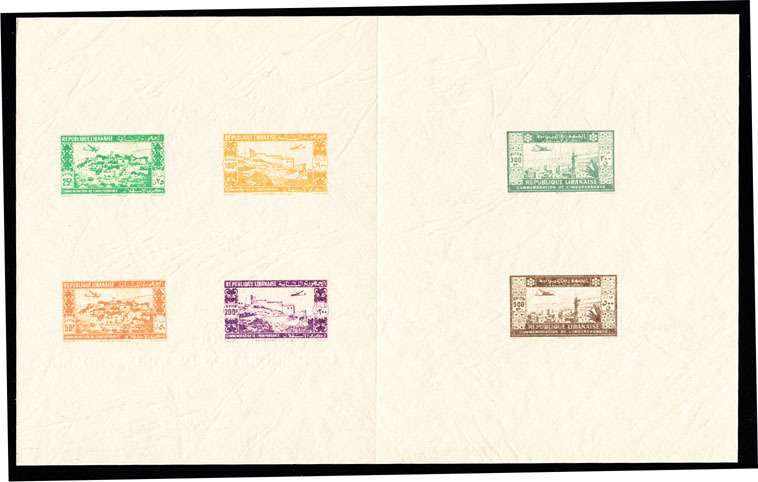 Proof sheet with 2 imprints of unissued stamps for 2nd Arab Lawyers Conference. 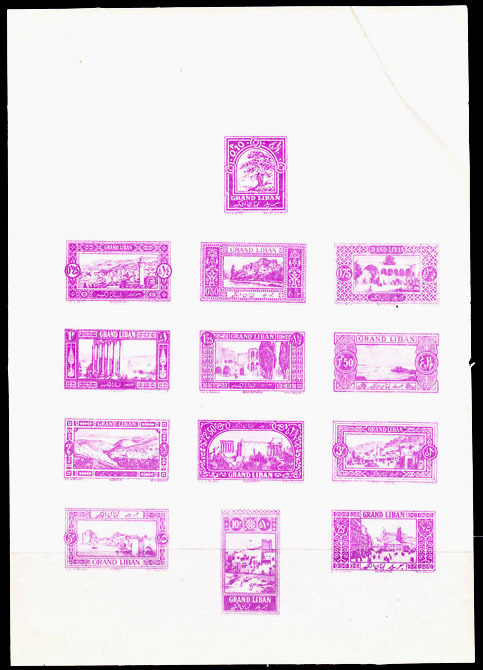 One is similar to UNESCO issue Scott No C144.